The Iconic Mancunion institution, which started out as Sankeys Soap way back in 1994, has had a meteoric rise in the last few years seeing expansion into London, and now into it’s 5th successful season in Ibiza, the club has once again proved that it’s the fastest growing club on the island. After another show stopping season in Ibiza, Sankey’s will be heading back to the city where it all began and will take over the Iconic Victoria Warehouse for some stunning Warehouse parties and legions of Sankeys fans will be pleased to know that legendary Sankeys owner, David Vincent, who also ran the infamous Tribal Gathering Warehouse parties, is sat firmly at the helm. The backdrop to the series of special events comes in the form of the Victoria Warehouse, a landmark industrial event space, located in Trafford Park. Built in the 1900’s the Victoria Warehouse emerged during the height of the industrial revolution and now faithfully remains true to its Mancunion roots. Captivating and untamed, the 3000sqm space with it’s exposed brick walls and steel girders, has fast established itself as one of the UK’s most cutting-edge event spaces, attracting brands, artists and audiences from all over the world. With further seasons planned at the venue over the next 5 years and Sankeys role as the long running, taste defining, Manchester institution, this union will add further legends to both the history of the club brand and space. 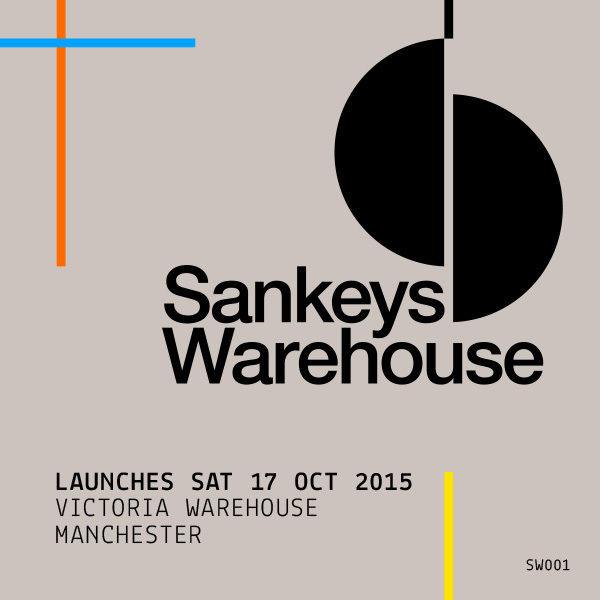 “I’m really excited about teaming up with the Victoria Warehouse to bring the Sankeys Warehouse series to the City of Manchester. Tickets: £20 + BF Early Bird available online now at http://bit.ly/sankeyswarehouse Over 18s Only (ID Required).